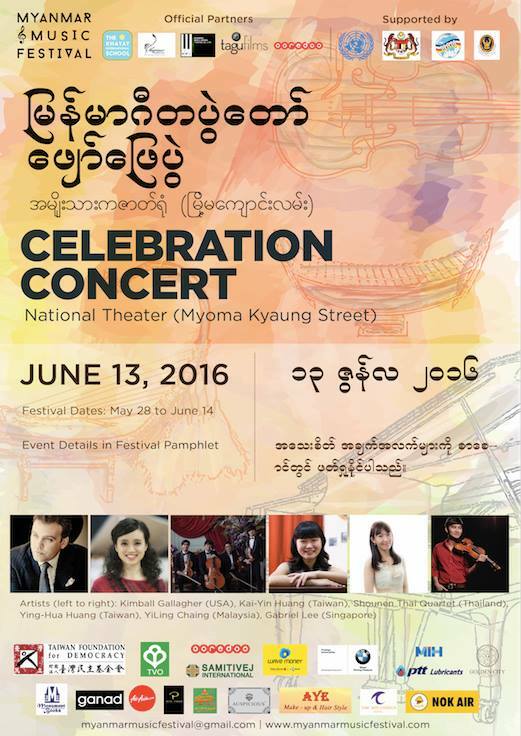 Myanmar Music Festival is an international classical music festival presenting international artists and faculty in collaboration with emerging and established talents in Myanmar for a weeklong intensive workshop and performances during the month of June. Special attention is given to mentor young talents from Myanmar. 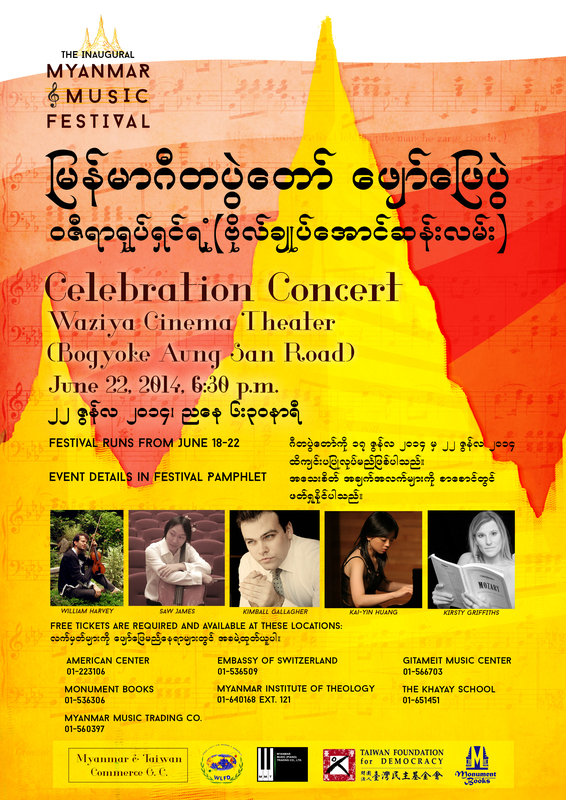 The festival is organized in collaboration with the Ministry of Culture in Myanmar, the United Nations, Taiwan Democracy Foundation, local and international businesses as well as Embassies from around the world. 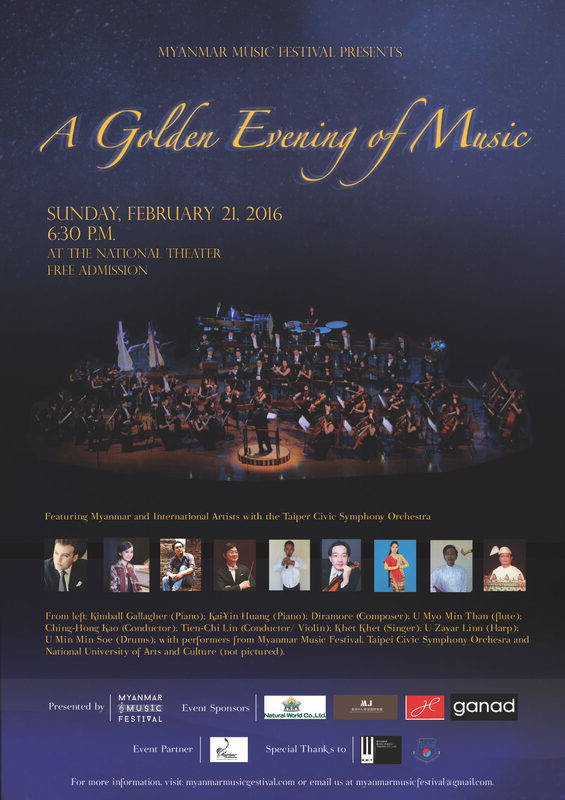 The festival has performed for Daw Aung San Suu Kyi, the Nobel Peace Prize Laureate in 2014 and 2015.